Spawners had SpawnPotentials set, even without explicitly setting it, overwriting SpawnData after first spawn. Older versions used some sort of "fake enchantments", this is not longer used and supported! It is recommended to use SilkUtil to receive the mob ID and to set the mob ID since it handles all the version dependent NMS code. When a spawner block is broken, a spawner item drops with the appropriate entity ID stored, obtained from the creature spawner tile entity (CraftCreatureSpawner). When a spawner block is placed, the entity ID is read from the item and the spawner creature type is set (using the CreatureSpawner BlockState). EntityIDs of the vanilla mobs. Bukkit provides an EntityType wrapper, but it is implemented using an enum which cannot be easily extended by mods (without using reflection, as they do for the ItemStack wrapper), so SilkSpawners does not use this enum when possible, and instead directly accesses the net.minecraft.server classes if it can. 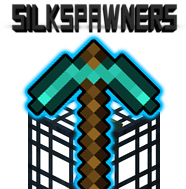 If it fails or if useReflection is false, SilkSpawners will fallback to the EntityType wrapper.